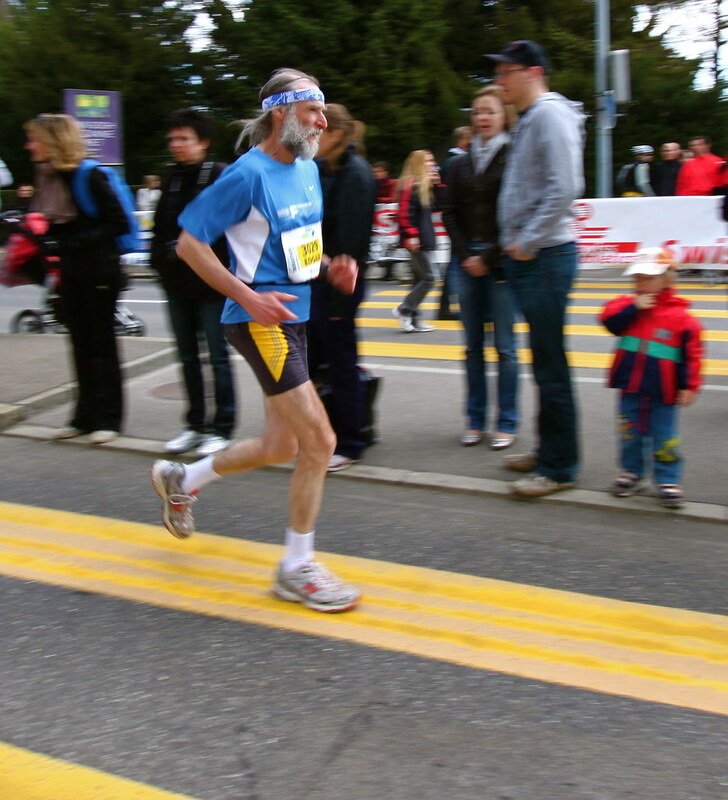 "Woop, woop, woop..." (long o sound, not like Arsenio Hall) and sounds of noisemakers like Purim graggers filled the streets this past Sunday as runners finished the 2010 Zurich Marathon. We just caught a quick glimpse on our way downtown. But just those few minutes got my heart pounding. My adrenaline racing. I can only imagine what it feels like to be this close to the finish line after running for the last four hours. If this guy can do it, why can't I? Never say never.